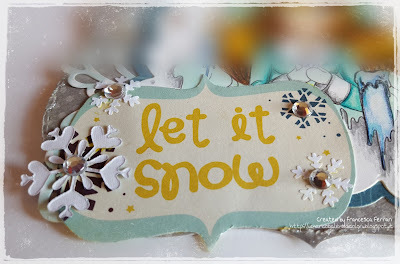 Un Arcobaleno di CoLoRi: Let it snow! Io ho scelto Aurora 'Warm Wishes' che potete trovare qui. 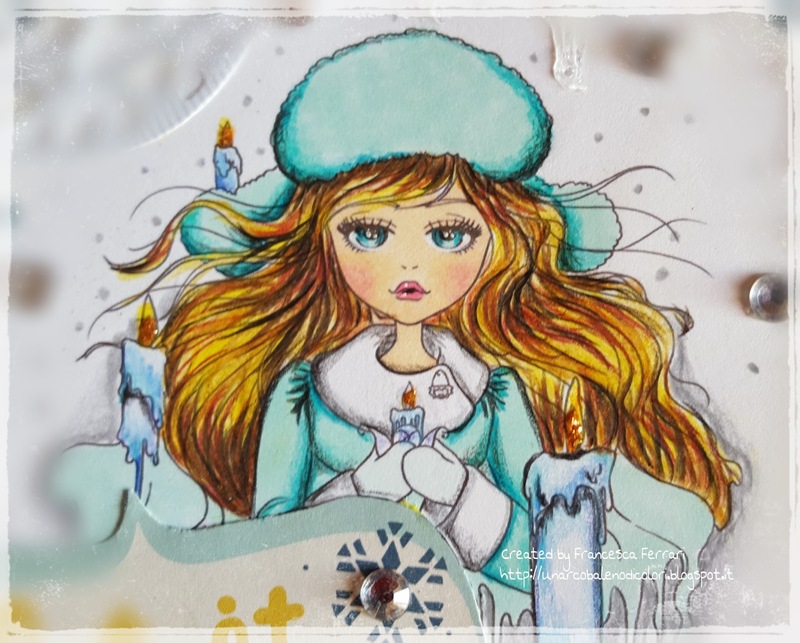 I chose Aurora 'Warm Wishes' you can find here. I coloured the digi with Spectrum Noir and pencils. Per la realizzazione di questa card ho utilizzato carte e sentiment di Bo Bunny; le fustelle sono di La Coppia Creativa, Sizzix e Marianne Design. To create my card I used papers and sentiment from Bo Bunny; dies are from La Coppia Creativa, Sizzix and Marianne Design. Fabulous card with a beautifully coloured image. Thank you for sharing your work with all of us at Crafty Boot Challenges. Wonderful project! Your image is beautifully colored and embellished. Lots of great detail and texture. Nice job, Francesca! Thanks for sharing with us here at 613 Avenue Create! Very pretty card. Love all the details. Thanks for sharing with us at Crafty Time. 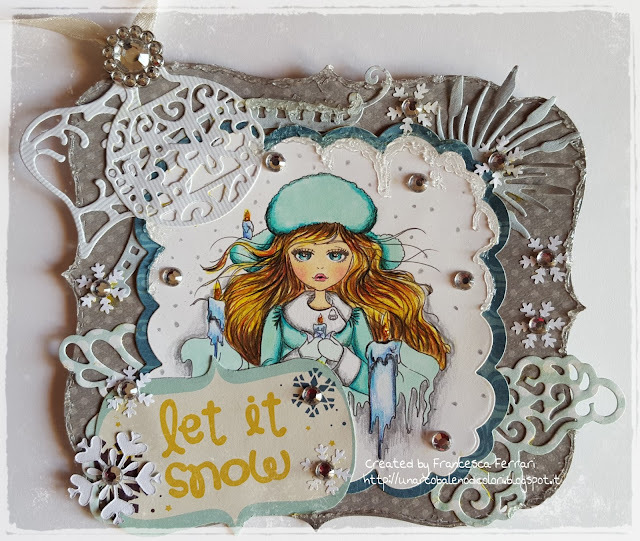 Great card, love all the embellishments. Thanks for joining in at Crafty Boots Challenges this time. Beautiful Card,love the coloring. Thanks for joining us at Color your world.